“And David sent out ten young men, and David said unto the young men, Get you up to Carmel, and go to Nabal, and greet him in my name” (1 Sam. 25:5). David said, “…and greet him in my name.” David did not send them in own name but in his name. The reason is David associated his name with his person and personality. What was it about David’s person and personality? David was the one who killed Goliath and through whom God gave victory over the Philistines to Israel. The fame of David had spread abroad because of his victory over Goliath. He was therefore known as a mighty and bold warrior. This is true about him and Nabal knew it (v.10). David was confident that his request will not be turned down once he sends the men in his name. He was expecting Nabal to respect him and honour him as a saviour of Israel. Therefore Nabal’s foolishness in despising the name “David” meant despise to the greatness and person of David. So had it not been the great wisdom and understanding of Abigail, Nabal’s wife, he would have perished at sword of David. He did not honour the name of David. God also told the Israelites, “Behold, I send an Angel before thee, to keep thee in the way, and to bring thee into the place which I have prepared. Beware of him, and obey his voice, provoke him not; for he will not forgive your transgressions: for my name is in him.” (Exod. 23:21-22). Secondly, God so much values His Name. Therefore he says, “…For my name is in him.” Because of my name in him, do not provoke him! Because of my name in him, beware of him! Because of my name in him, obey his voice! So it means sinning against the Angel means sinning against the NAME of GOD and that also means sinning against ALL THAT GOD IS. So the name of God represents His power, His authority, His glory and His personality. The joy about this Angel is that he is the pre-incarnate CHRIST (Gen. 3:2, 6; Gen. 32:24, 28, 30; Ex. 3:1-5; Ex. 23:20-23; Exod. 33:20; Josh. 5:14-15; Judg. 13:18, 22; Hos.12:3-4; Jn. 1:18; 1Tim. 6:16). God has His name in him so rejecting him is rejecting God, and accepting him is accepting God. Also the popular passage of Genesis 32:22-30 reveals to us Jacob’s encounter with God. In that encounter, Jacob asked the man “Please tell me your name.” “Why do you want to know name?” The man replied. Jacob named the place Paniel (which means ‘face of God’), for he said, “I have seen God face to face”. (Gen.22: 29-30). “For as yet He (Holy Spirit) was fallen upon none of them: only they were baptized in the name of the Lord Jesus” (Acts 8: 16). “So he gave them orders to baptize in the name of Jesus” (Acts 10:48). “As soon they heard this, they were baptized in the name the Lord Jesus” (Acts 19:5). These three scriptures are strong evidence that the name of the Godhead is JESUS. Peter and Paul baptized in the name of Jesus. Were they disobeying the instruction of Jesus? No. They understood the revelation behind the Jesus as the name of the Godhead in which believers must be baptized. 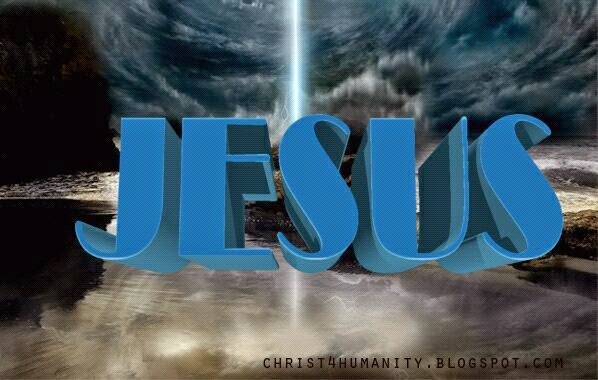 Philippians 2: 9-10 – “Wherefore God has also exalted Him and given Him a Name which is above every Name. That at the name of Jesus, every knee should bow, of things in heaven and things in earth and of things under the earth”. O how clearly the Deity of the name of Jesus is revealed here! “Thou shall not make thee any graven image, of any likeness of anything, that is in heaven above, or that is in earth beneath, or that is in the waters beneath the earth. Thou shall not bow down thyself unto them…” (Deut. 5:8-9). This is a clear warning and instruction from God. Why then must we bow to the name of Jesus? Because it is the name of the Godhead that we can bow to. Now that we have arrived that the name of Jesus is the revealed name of God, we can go ahead and talk about why the name is so powerful. The name of Jesus is so powerful because it is the name of the Godhead. The full power of God is in this wonderful name. When the name of Jesus is mentioned the full power of the Godhead follows it. And why won’t anything be possible if the power of the Godhead moves it? Why will David not be able to kill Goliath if he goes in the name of the Lord? Why will a prophet's (true) message not come to pass when he declares them in the name of the Lord? All the titles and names of God aforementioned show the glory and the power of God. Every role of each title or name is played by the name Jesus! Why won’t this name be powerful? No wonder at the name of Jesus the blind saw, the lame walked, the deaf heard and demons fled. These cannot stand the powerful name of God – Jesus! For example, God was known as Mekaddisheem which means Sanctifier. Paul wrote epistle to, “…the church of God which is at Corinth, to them that are sanctified in Christ Jesus…” (1 Cor. 1:2) or (1 Cor. 6:11) To be sanctified in Christ Jesus is same as saying sanctified in the name of Jesus. For it has been established that the name of God revealed Himself. Also Rophekah means Our Healer. There are so many instances in the scriptures where sicknesses fled in the name of Jesus. (Acts 3:6) In the name of Jesus sinners are saved. (Jn. 1:12; Rom. 10:13) In the name of Jesus forgiveness is received. (Acts 10:43; Luke 24:47) There are many more benefits derived in the name because the name is the name of the GODHEAD. This point is noteworthy: Even though many people in Israel were or are called Jesus, it does not devalue the Deity of the name of Jesus. For instance many people are called Shalom and Emmanuel but they are not Jesus – Jesus was also called Emmanuel. If you exercise faith in other person called Jesus and call his name against circumstances nothing will happen but if you look to the only begotten Son of God and call upon his name in faith, you will see results!